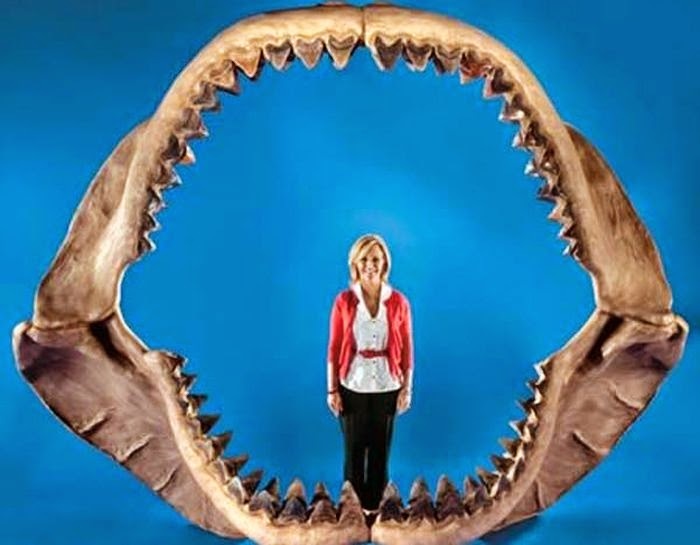 This list features some crazy stuff such as a 100 year old spider attack and a Megalodon jaw. It kind of makes you glad that these things no longer exist today. 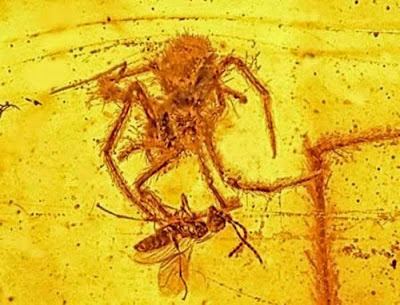 A 100 million year-old spider attack, this spider was attacking its prey when it got caught in amber, the only preserved attack ever found. 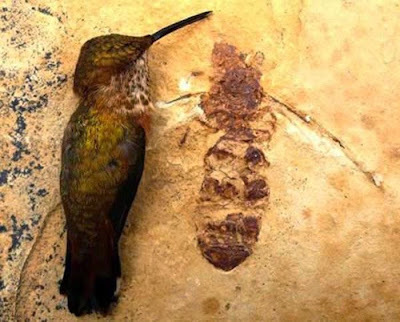 These bugs lived in the Hukawng Valley of Myanmar in the Early Cretaceous, between 97-110 million years ago. 66-pound rhino skull, this rare rhinoceros fossil was found in Turkey and was most likely killed in a volcano 9.2 million years ago. 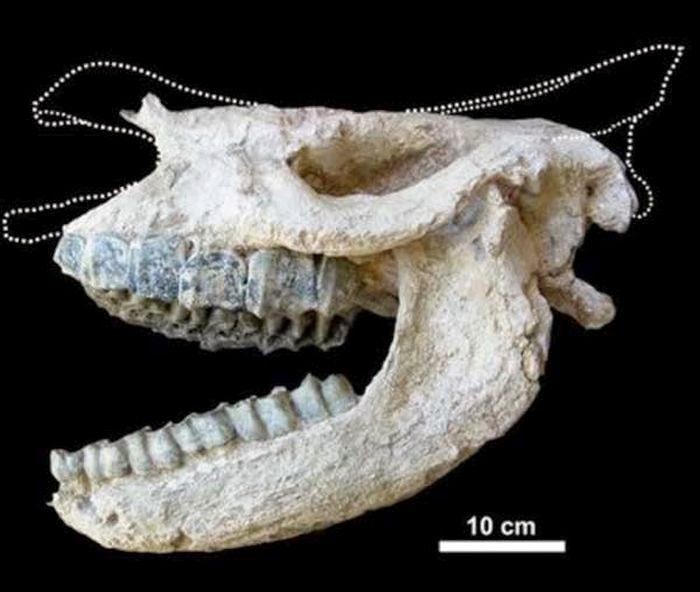 This skull probably belonged to a large, two-horned rhino. 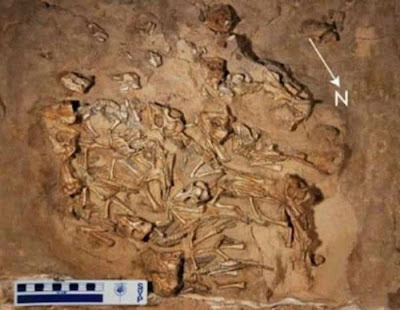 Its miraculous that the skull was preserved. The largest Megalodon jaw ever assembled, the Megalodon dwarfed the Great White shark. 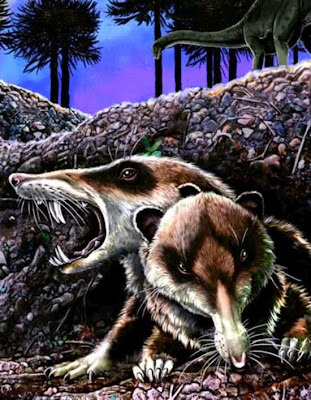 It was the largest predator to have ever existed on Earth. The jaw measures 11 feet across and almost 9 feet tall. 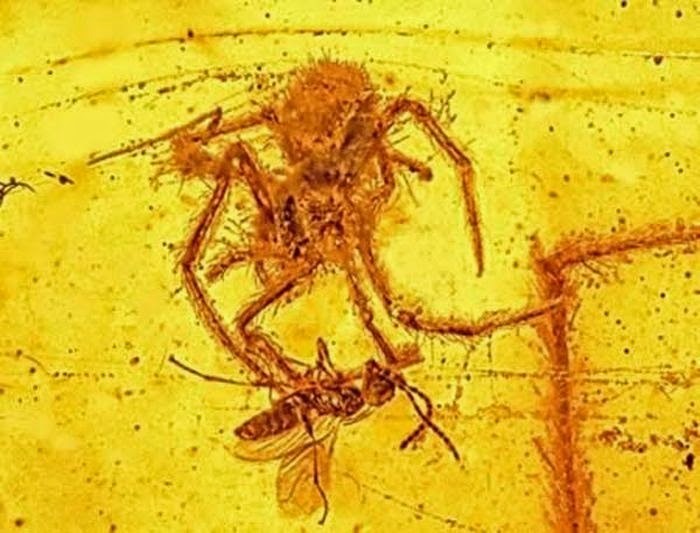 Giant ant fossil this giant ant, named Titanomyrma lubei, lived 50 million years ago. Its body size was comparable to a hummingbirds. 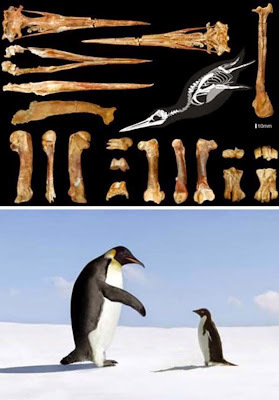 Perus giant penguin, the Inkayacu paracasensis lived in Peru 36 million years ago. It would have been roughly twice the size of todays emperor penguin. Saber-toothed squirrel, there are squirrels that used to have fangs that were 15 the size of their heads. They existed more than 100 million years ago. These squirrels most likely ate insects and not nuts. Extinct whale fossil found on Santa Cruz beach, a fossilized row of vertebrae were found jutting out of some rocks. 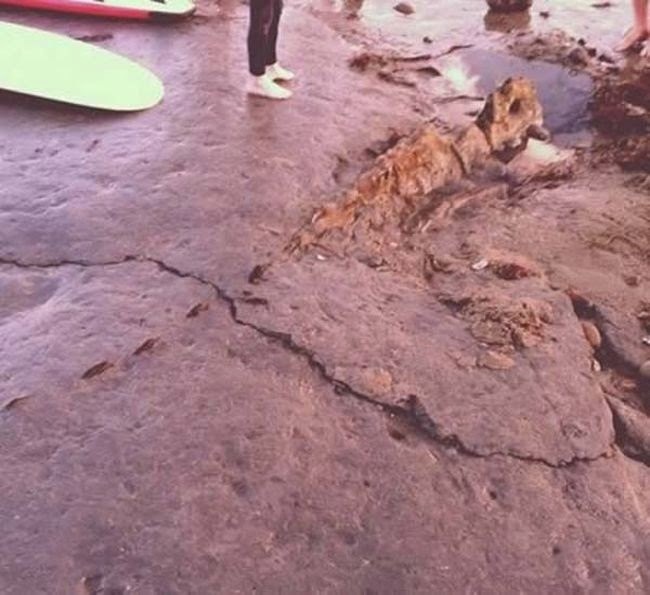 A Reddit user uploaded the picture and scientists believe these remains to be of a Pliocene-era whale. A nest of 15 baby dinosaurs: A nest filled with 15 juvenile Protoceratops andrewsi dinosaurs were found in Mongolia. They were most likely from a single clutch from a single mother, all meeting their tragic end at the same time. 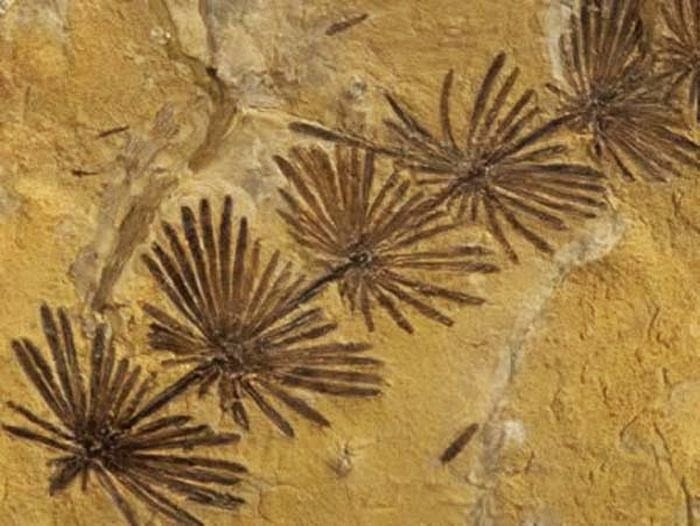 Perfect horsetail fossil, this plant was preserved perfectly for more than 300 million years. It holds secrets from the Carboniferous period. Its strange that it was able to stay in this condition for so long. 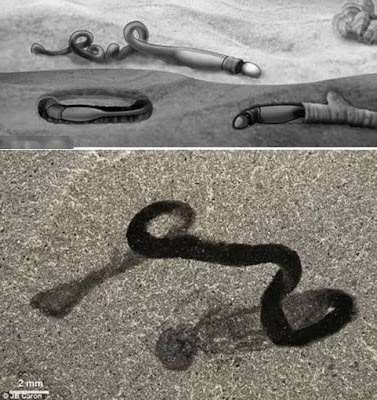 An oddly shaped worm fossil this worm, named Spartobranchus tenuis, was unearthed in Canadas Burgess Shale fossil beds in the Yoho National Park. Its strange looking but answered many questions for the scientists who found it.